It’s a little hard to forget about the winter weather that has blanketed the bulk of the country with it’s frigid wrath for several months now, but forgetting winter skin care is usually a little easier, even for me. As men our skin often takes the back seat in our morning/night regime, but it’s especially important for us to pay closer attention during the winter months. The bone chilling wind not only takes it out of you but seriously drys out our skin as well, that coupled with shaving can leave skin red, blotchy, and irritated. Imagine going out for a first date and showing up with dry, cracked lips and blotchy, red face. It’s not exactly the best thing for a first impression. I’m not a proponent of taking hours upon hours getting ready to face the day but am a proponent of skin care. Skin care has always been a sore subject for me because I’m on the more sensitive skin side of the spectrum and battled with acne and breakouts for most of my young adult life. As a gay man body image has always been a struggle and having my moneymaker looking like a pizza was a killer on my self esteem. It’s still one of my biggest areas of concern. If you’ve not saw a outfit post from me in a couple days, it’s probably because I’m dealing with some breakouts. These are usually triggered now by travel/stress, like returning from NYFW, and currently my skin is hating me. 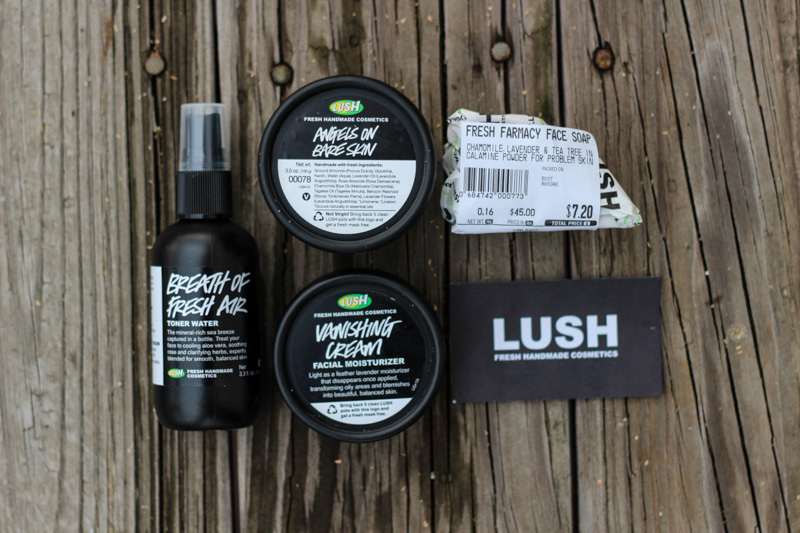 If you’ve not heard of LUSH, do yourself a favor and check it out. The Canadian based company has been a god send for me. They skin care covers all skin types from sensitive, to oily, even combination type skins. The products are easily interchangeable too. For instance, I use a facial toner for sensitive skin, but a combination moisturizer, because I suffer from oily and sensitive skin. My go-to products are Fresh Farmacy, Breath of Fresh Air, and Vanishing Cream. LUSH has even put together a guide for picking out what cleanser would work best for you here. Winter skin care wouldn’t be complete without a sunless glow as well, and thanks to my friends at Sun Tan City I’m set all year round thanks to their VersaPro. There’s something about having a little color that can brighten anyone’s mood and help fight those winter blues. VersaPro’s all natural spray is great for those with problem or sensitive skin as well. 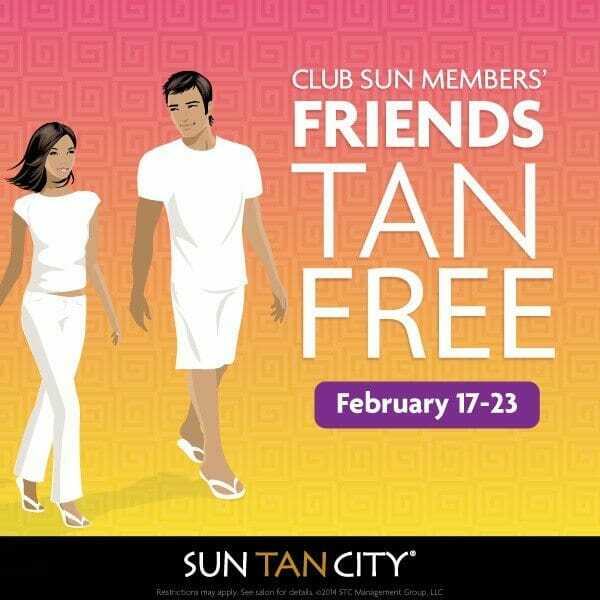 From February 17th-23rd friends of Club Sun member’s can tan for free in the same level bed as their counterpart, and if you’re like me and want to opt for a sunless option you can upgrade for Club Sun member prices. An added bonus of VerspaPro is the moisturizing spray after completing session. It locks in your tan and leaves your skin feeling touchable soft. 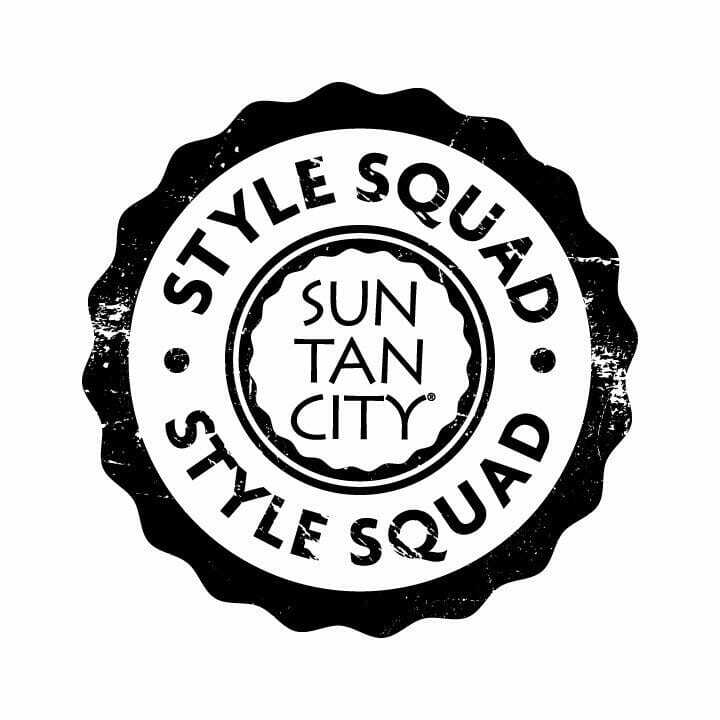 Stop by your local Sun Tan City today with a friend and help kick off the holiday season! Restrictions may apply. Offer valid February 17 – February 23 at all Sun Tan City locations. Disclosure: This post is sponsored by Sun Tan City as a part of the Style Squad program. The opinions expressed in this post are those of the author and not indicative of the opinions or positions of Sun Tan City.